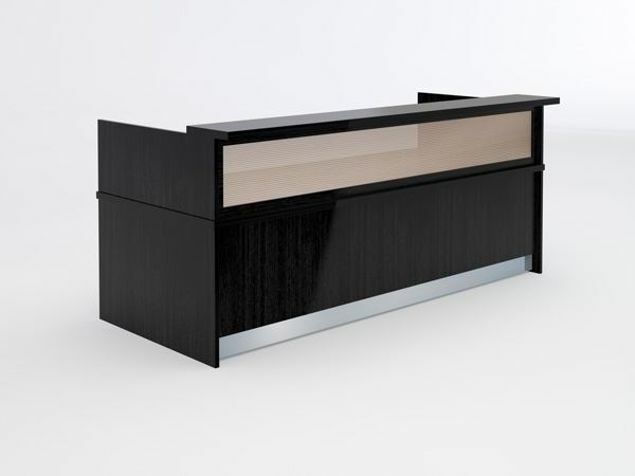 The Naples Reception Desk is gorgeous, intelligent and affordable. 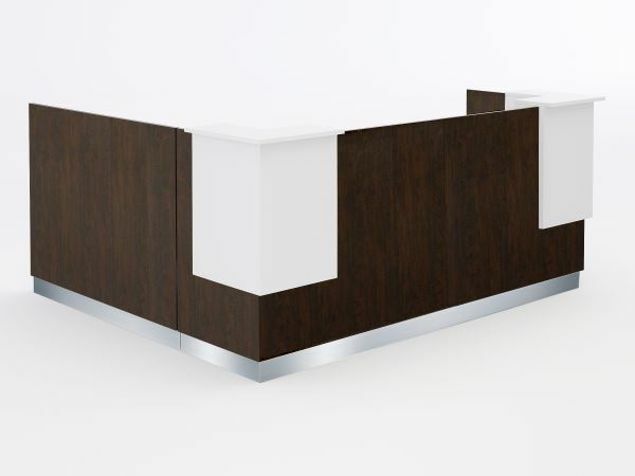 Designed and constructed from high-end real wood veneer, the Naples provides top-notch furniture for your lobby. 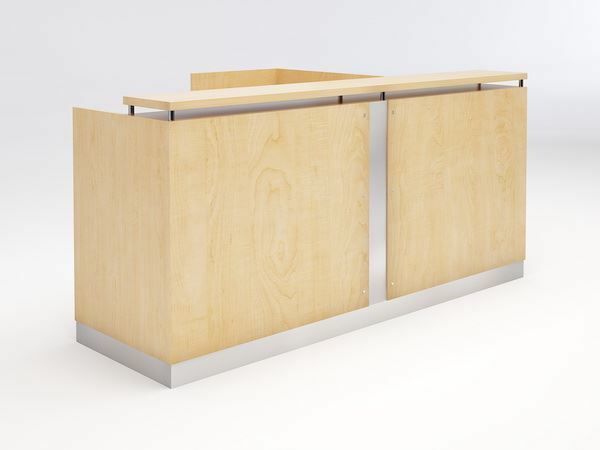 Whether you prefer modern elegance or a more transitional style, this reception desk helps you strike the perfect balance. The brushed-aluminum underlay against hand-selected maple veneer lends itself to a combination that will be appealing to the most discriminating tastes for years to come. 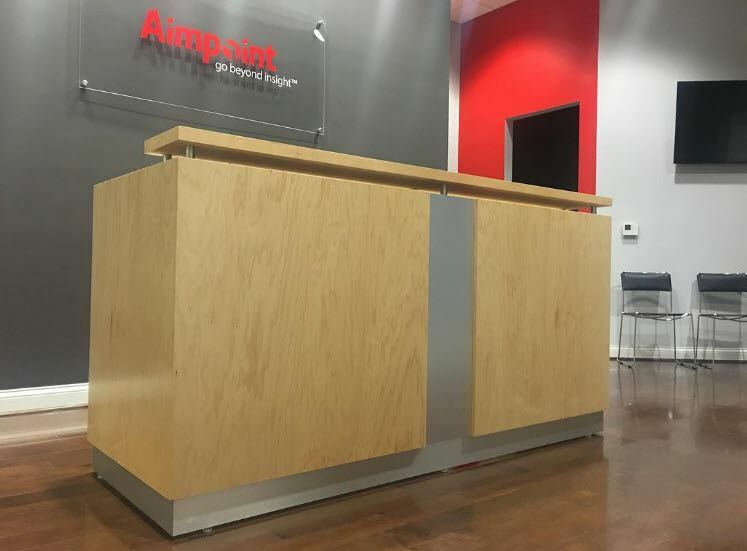 The Naples Reception Station can help you create the impression you need, and that is so important to your business. The Naples stands 82"W x 29-3/4"D x 42"H, and is available with or without a return or pedestal files (optional). Surrounding the bottom is a 4" recessed brushed-aluminum base. Separating the two maple facial panels is a 10" band of brushed aluminum capped by finishing screws to add a dash of industrial modern to the mix. Our image doesn’t match the picture you had in your mind? Looking for that special match for your office design, or maybe just an idea you have in mind? No need to fret or search for hours trying to find it online. It’s a standard benefit when dealing with 90 Degree Office Concepts to be able to select from an array of materials and colors. It’s simple! Just tell us what you need. 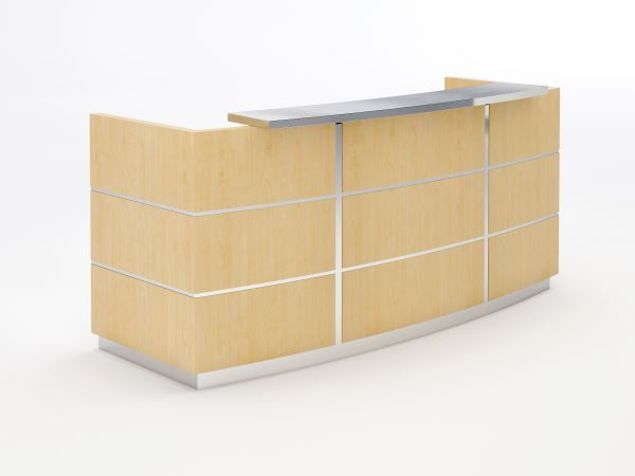 All of our products are available in a variety of colors and materials. Call 1-855-699-0334 for more information. 90 Degrees takes great pride in our outstanding testimonials! Click here to learn more!